Breakout EDU is an immersive learning platform developed by James Sanders and Mark Hammons. 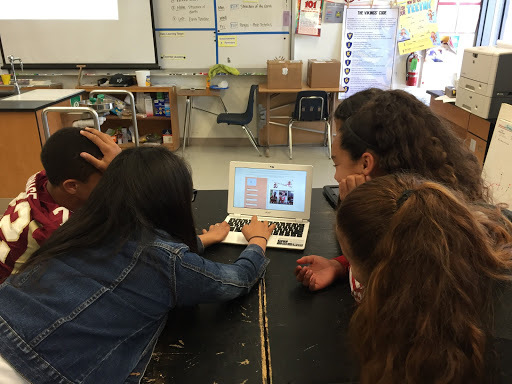 After visiting an escape room (a room where you are locked in and have to solve clues and riddles to escape) with a group of students, James and Mark noted how engaged the students were while working on the escape. 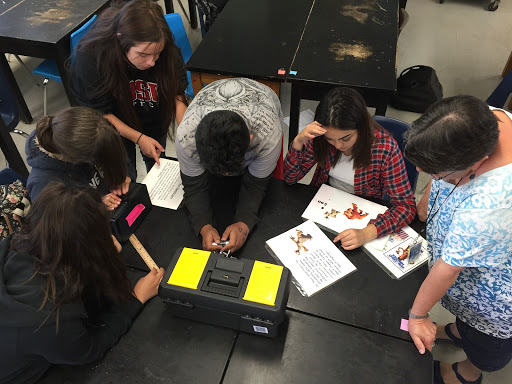 Realizing most educators can’t lock students in a room (for obvious legal and ethical reasons), the two decided to flip the concept – take a wooden box, add a hasp and a few locks, and provide clues. Let the students’ natural curiosity and excitement do the rest. By the end, students will have (hopefully) found and figured out all of the clues, enabling them to unlock all the locks and complete the game before time runs out. We (Justin & Mari) have run multiple Breakout EDU games with our students, and love seeing how engaged and motivated our students are, even those who less likely to participate in class. We realized how much fun these games were, while also being educational. We wanted to replicate them using only digital tools. With Google Forms and data validation, we were able to recreate the locked box and hasp. In our games, all clues are linked directly within a Google Site, and take some serious detective work to solve. This project started small, and we expected to share the games around, then move on with other things. When we sent out the initial invitation to Beta test our games on March 25, 2016, we were blown away with over 200 responses in less than 36 hours. After the initial Beta test and feedback, we released our games and website out to a wider audience on Facebook and Twitter. 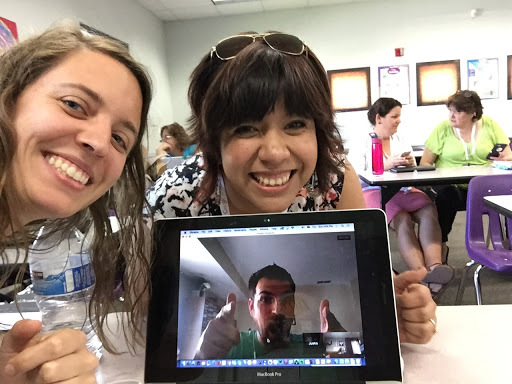 In mid-April, James Sanders reached out to us and asked if we’d like to officially become Breakout EDU Digital, and take on breakoutedu.com/digital. We responded with an immediate “yes!” and began integrating our content into the Breakout EDU website. We’ve certainly learned a lot since we first launched our games. One lesson we’ve learned is that we constantly need to be flexible in our teaching. As part of our games we have a feedback form that allows us to hear directly from the people who are playing our games. We act on all feedback that we feel improves the games, which is something an effective teacher should always do as you gauge student reaction in class. Resiliency and growth mindset has been another huge focal point of this project. We purposely make the games challenging and rather in-depth. Sometimes people contact us asking for answers or hints, and we encourage them to explore the games alongside their students, to show that teachers don’t always hold all the knowledge. This may make some teachers uncomfortable, but the connections your class forms as you decode the games together will pay off in dividends. You can definitely tie your instructional content into a Breakout EDU, whether the box version or the digital type. For our digital game “Alcatraz Night Escape,” we included a number of facts and information about the history of Alcatraz necessary to unlock the Form. Other users who have created their own have also tied their content into their digital breakouts. Imagine how much more engaging this is than reading it from a textbook! 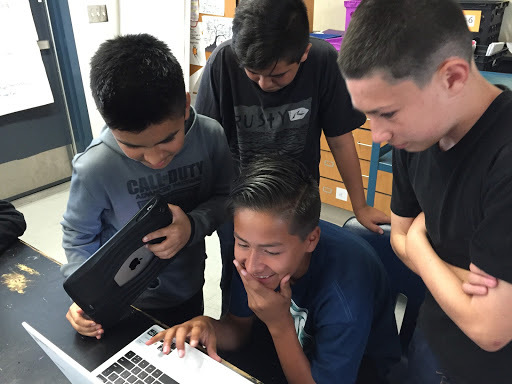 So how can you develop your own Breakout EDU Digital games? We’ve tried to streamline the process by having a “Build Your Own” button on the website. These are a series of screencast tutorials that model different elements of our games. The most important element is the Google Form that acts as the box. Under advanced settings on “short answer” (in the new Forms) or “text” (in the old Forms,) you must turn on “data validation.” From there, type in the desired response and add something like “Still locked” or “Keep trying” in the help text. If you don’t, it will give the answer to the students. There are plenty more tutorials available for you to watch, and we’re always on the lookout for new ideas! One of the critical elements of the original Breakout EDU is the collaboration and communication between the classmates. 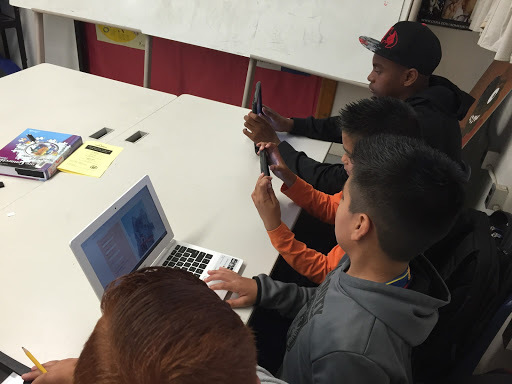 With Breakout EDU Digital, there might not always been that inherent need for collaboration since each device is its own box. We have presented at a GAFE Summit (Mari live, and Justin on Google Hangouts) where we had participants play a short demo game. The session started out with everyone on their own devices, and the naturally paired up and then formed larger groups to work together to solve the breakout. 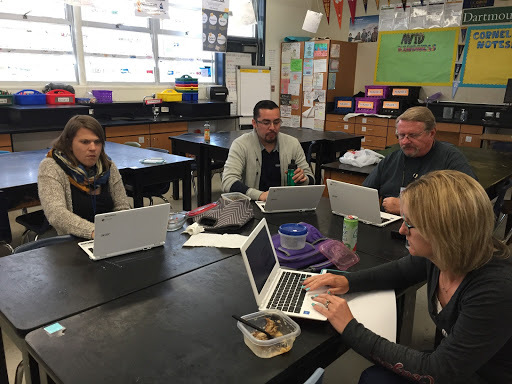 Additionally, we recently hosted a Breakout EDU Digital LIVE event with eighteen adults working together to solve a brand new game. These events proved that the collaboration factor definitely takes it to the next level. Justin on Google Hangouts + our good friend Ari! We predict an exciting future for Breakout EDU Digital. We are currently getting ready to launch a Digital Sandbox, where community members can submit their own games for others to play and provide feedback. Additionally, we are both building their own individual games and collaborating on games, and are on pace to release one game per week for the foreseeable future. We always love feedback and suggestions on new directions and how to improve our games. So what are you waiting for? Go visit breakoutedu.com and breakoutedu.com/digital to learn more about how you can use it in your classroom. The students will be engaged, will collaborate, will develop interpersonal skills, will have fun, and will even learning something along the way! Enjoyed my first digital breakout today! I'm looking forward to reading more about this–so many tools of imagination at play here: games, drama, change of context, humour, storyform/narrative, humour….and so on!